Halesi Mahadev Darshan by Helicopter ride is a holy temple tour to visit the famous shrine of Hindu god lord Shiva in eastern Nepal. Halesi Mahadev temple is located at the small hilly area between holy rivers Dudh Koshi (Right) and Sunkoshi (left) at Khotang district of Nepal. Haleshi Mahadev Helicopter tour is a pilgrimage heli tour to visit one of the ancient and holiest places of Nepal often called as The Pashupatinath of the Eastern Nepal. The temple is more the natural then the human made. Most amazing part of this temple is the cave of different story. Beauty of Cave, Temples and as well as its natural inheritance are just irresistible. Halesi Mahadev temple is famous among the several pilgrims from all over Nepal and India. Thousands of people visit this temple daily by road and helicopter tour. The temple of Lord Shiva visit is total about two hours by a heli ride from Kathmandu. By the overland trip, it takes about 10 hours to reach there by jeep. By helicopter it takes about 45 minutes to reach the famous temple. Hindus and Buddhist takes this temple as Pashupatinath Temple of Eastern Nepal. 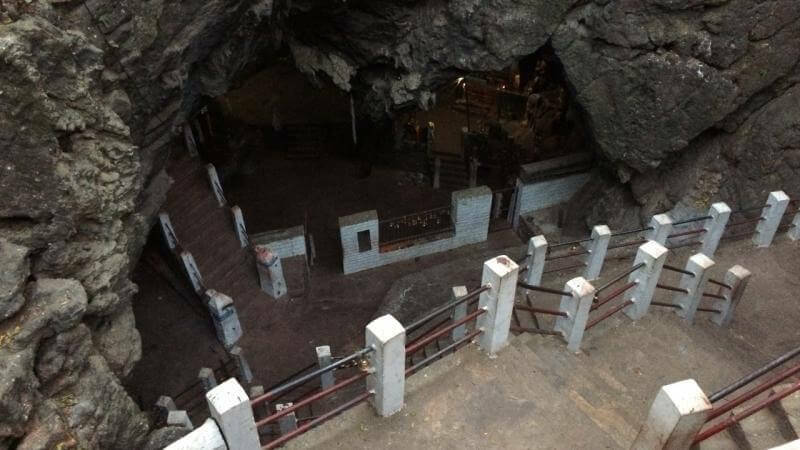 You will experience temples and holy shrines inside a gorgeous cave. By a Halesi helicopter ride you will feel comfortable, safe and fast to worship the holy god. You will fly from Kathmandu International Airport domestic Terminal (TIA) with the view of Beautiful Mountain & land near the Halesi Mahadev Temple, then you will have plenty of time to visit, worship and perform Puja with beautiful captures of cave and surroundings. Then you will fly back to Kathmandu. Halesi is becoming the important pilgrimage destination in Khotang which is possible to reach by both road and helicopter. Kathmandu to Halesi by road takes about 9-10 hours. There are many hotels in Halesi temple area to serve the pilgrims. If you want to spend a night you will get well hotels in Halesi for your stay. Halesi Mahadev temple tour by helicopter is fastest way to enjoy the beautiful views and full fill the religious beliefs.